Ships today if you order in the next 2 hours 50 minutes. Chaste Tree from Oregon’s Wild Harvest is a “women’s herb” that may support normal estrogenic activity no matter the time of the month. Chaste Tree (Vitex agnus-castus) bears small berries that are commonly used in medicinal tonics. These fruits are rich in flavonoids, alkaloids, and steroidal hormone precursors. Flavonoids are a compound found in plants and are important in photosynthesis. 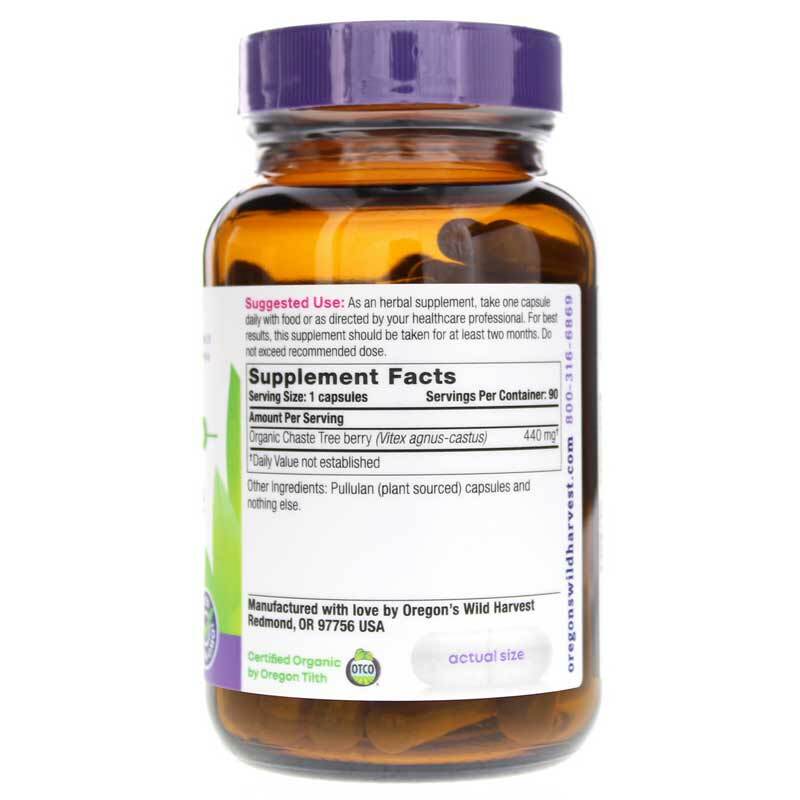 When ingested, they are thought to provide support for a healthy immune system and cardiovascular health. Alkaloids share similar properties to flavonoids, and may promote a healthy immune response to environmental and seasonal challenges. Steroidal hormone precursors like those found in chaste tree are signal molecules that may act upon the pituitary gland. The pituitary gland is responsible for regulating processes that include stress, growth, and reproduction through hormone secretions. Chaste tree is thought to contain compounds referred to as “mechanisms of action” that may support the pituitary gland and normal estrogenic activity. May offer support for healthy estrogenic activity. No matter the time of the month, you want to feel like yourself. 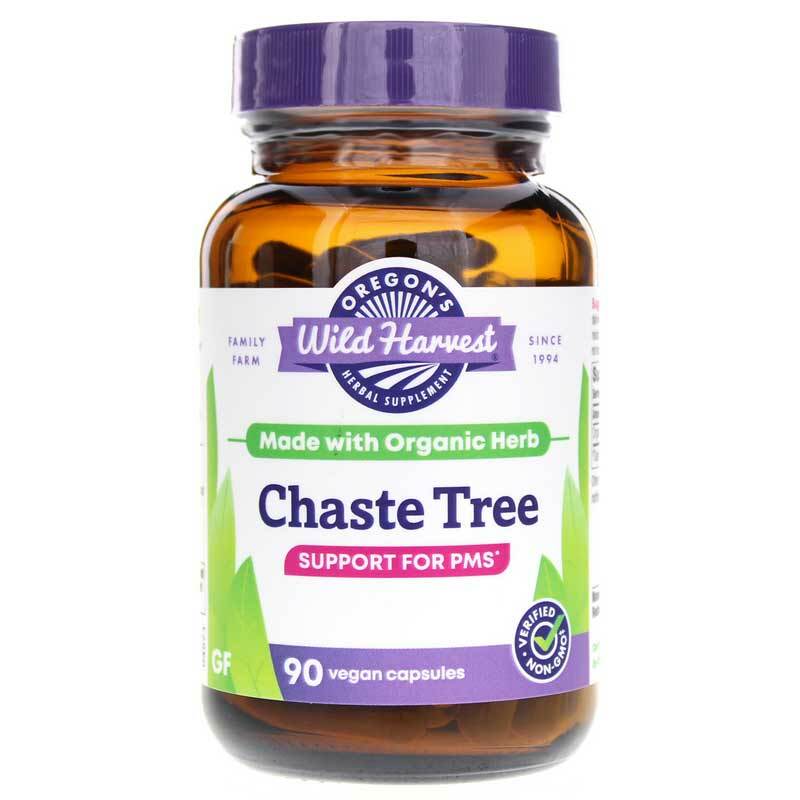 Chaste Tree from Oregon’s Wild Harvest seeks to support hormonal balance and immune health. Experience it for yourself today! 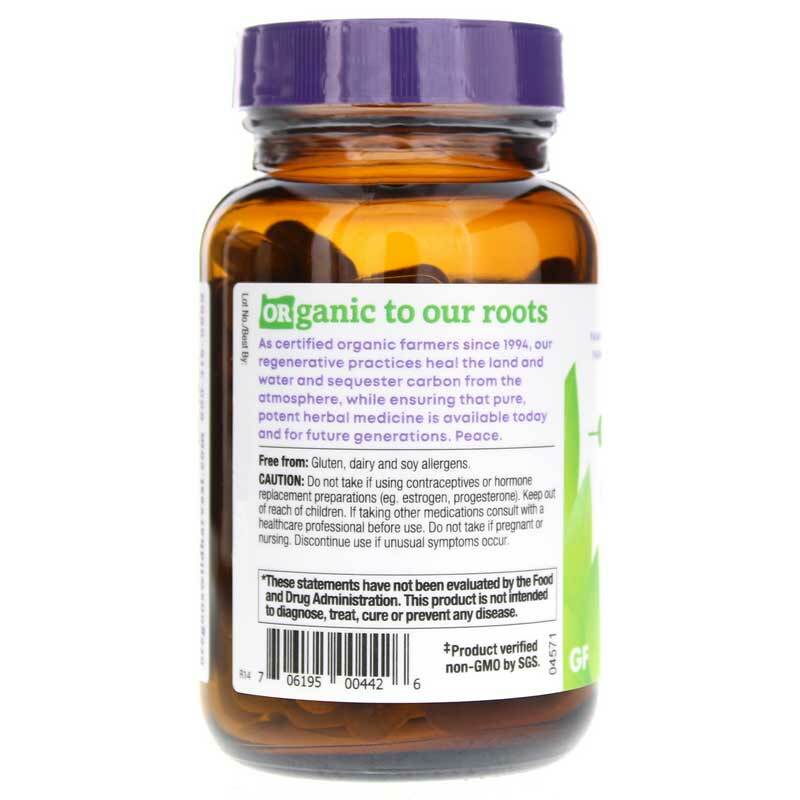 Adults: As an herbal supplement, take one capsule daily with or without food. For best results, this supplement should be taken for at least two months. Do not exceed recommended dose. Do not take if using contraceptives or hormone replacement preparations (e.g. estrogen, progesterone). Do not use if pregnant or nursing. Keep out of reach of children. Discontinue use if unusual symptoms occur. Keep out of the reach of children.